In honor of Shoe Tuesday I decided to take some glamor shots with my Blackberry. My feet aren't sure how to feel after I coaxed them to take their socks off. But I assured them the finished product would be tasteful. Here they are acting all nervous--before I slipped them some valium in a glass of Champagne. 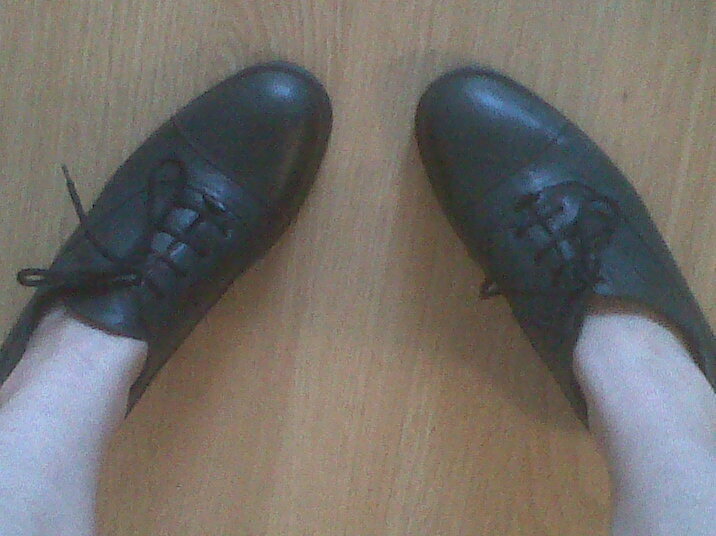 These are my mom's green Oxfords. They've got a nice chunky heel and their leather is like BUTTAH. 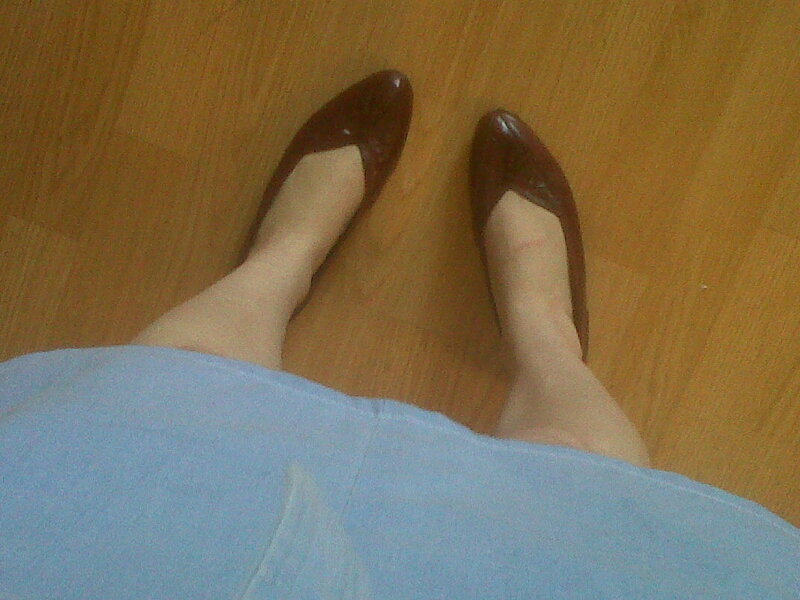 But I never wear them because they scrape my heels. 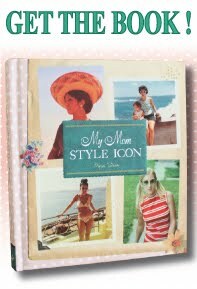 These are not my moms as far as I know, but they probably belonged to some mom. I got them at a vintage clothing store on Graham Ave in Williamsburg (ask me how much they were, ask me-- they were $40 bucks). They're from the 80's by a brand called Bandolinos. The woman at the store said Bandolinos was a really well-known Italian brand back in the day, so I've been thinking I'm walking on a gold mine. Then I Google-searched the name and I'm pretty sure they're sold at WalMart. Note the tassels. Tassels are back-- big time. You heard it here first. If I didn't already have a pair of shoes with Tassels, I'd buy these Bass Gumsole Wedges. 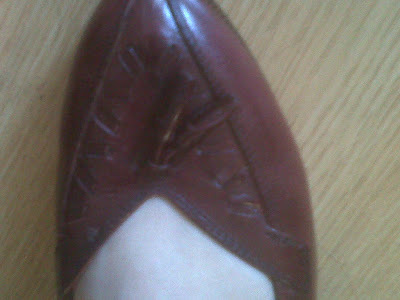 But I don't have to because I have shoes with tassels. My life is pretty much set. Send me pictures of shoes you inherited from your mom and I'll post them for everyone to see. I have to make my first comment and say: Speaking of Imelda! There is a double disc CD by David Byrne (I know, genius, right? 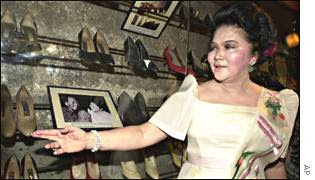 )about Imelda Marcos...can't remember the name...but loved what I heard on NPR. Love your blog. Adore. J'taime. Etc Etc.